Are you a Walking Dead fan? 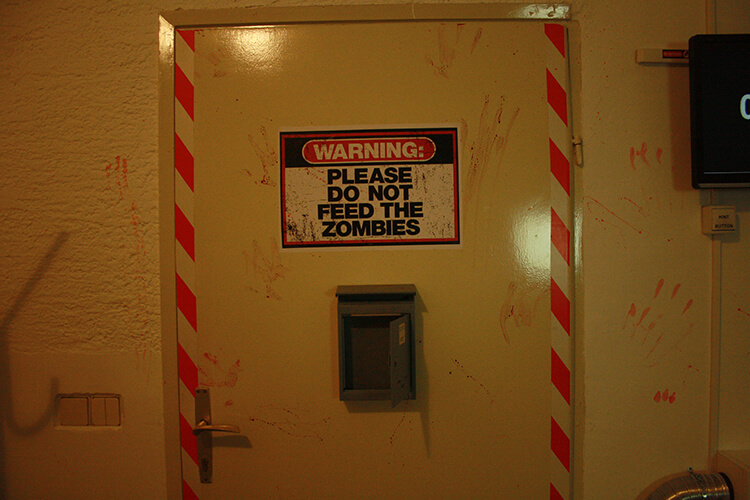 Have you ever wondered about how you would handle a zombie outbreak? Or if the world was minutes away from a Dr.Strangelove type of nuclear catastropheand everyone’s fate was in your hands? Then Roomescape is just the place for you! The newest attraction in Zagreb is a real-life role-playing game which originated in Japan and the US. Today it’s one of the fastest growing franchises and it has affiliates all over the world – from Beijing, Tokyo and Singapore to Sydney, Los Angeles, Moscow, London, Budapest and so on. The rules are simple: you have 60 minutes to complete „the mission“, depending on which game you choose. It’s designed for teams of 2 to 5 players, who have to work together to find clues and solve puzzles inside one room to get through to the next one. Completing the ultimate task stops the clock and the instantly recognizable winner’s music starts playing through the speakers, while players hug and congratulate each other on their heroic achievement. Players range from all age groups and profiles: families with little children, young couples, elderly couples, students… it’s especially popular among co-workers, who choose Roomescape for their team-building. Notable examples include employees of Facebook, Google, Twitter and Microsoft. Roomescape Zagreb was founded a year ago by Renata and Goran Matošina. The couple first tried playing the game in Novi Sad, Serbia. Not knowing anything about it beforehand, they were hooked immediately after their first 60 minutes. Upon returning to Zagreb, they couldn’t stop thinking about it, so they contacted the franchise owners, found an abandoned basement space in Kneza Mislava Street and started their first business. In the very beginning, they offered two games – Bank (the goal is to rob the bank and escape with the loot) and Bunker (stopping the bomb from detonating). Zombie Lab was added to the catalogue later. 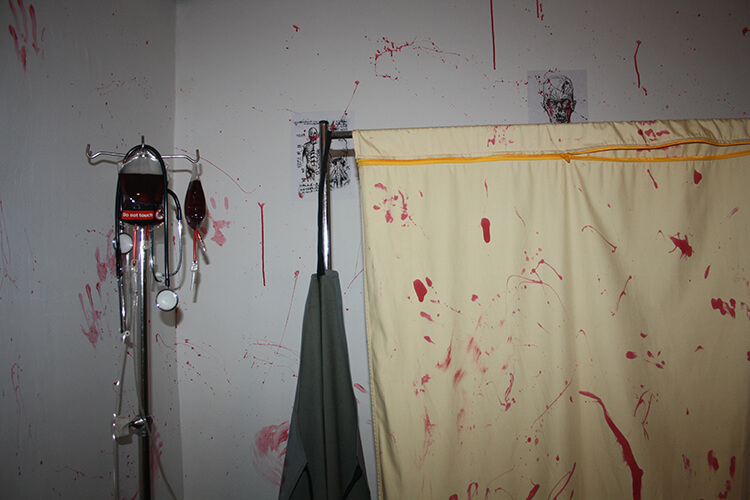 The laboratory was so meticulously organized, you really have the feeling of impending doom – blood on the walls, things scattered everywhere, creepy music playing in the background… Getting into character becomes super easy! If you get stuck, you can press the Hint Button on the wall to receive help from the Roomescape staff. You can find Roomescape Zagreb in Kneza Mislava 15. The group price is 350 kn (about 45 euros). It’s open Monday to Saturday from 12:30 to 21:30 and from 12:30 to 17 on Sunday. Make sure to book your visit in advance! Have you tried Roomescape before? Is this something you’d be willing to try?